3. Please describe your knowledge of Star Wars? The more detailed the better, please: * I have been a fan of Star Wars since I was a little kid. The first one came out the year I was born. I truly enjoyed the imagination and extreme since of honor that was the theme behind Star Wars. The battle between Good and Evil that never ends as it is internally and externally for all of us. I watched each one hundreds of times and can watch them more and more. I remember when the phantom menace came out I bought tickets as soon as I could and waited in line for hours just to get a seat. I was thrilled to hear about this game coming out well over a year ago and have waited a long time for it since. Look forward to playing it soon. I believe in honor and loyalty and when I join a guild I put my all into it. I played WoW for over 4 years and Everquest for 7 years. I was in the same guild for the entire length of those. I went through good times and bad. We all became a family of friends and still talk to this day. Some I hope to bring into this guild when we all start to play. 5. What type of role do you wish to take within the guild? How do you plan to be active? Please be specific. * In the guilds I have played I always played a very active role in each of them. I was an officer or higher in all of them and worked to better the guild no matter what role I played. I am here to better it. 6. Why do you feel the Army of Light is a good fit for you? 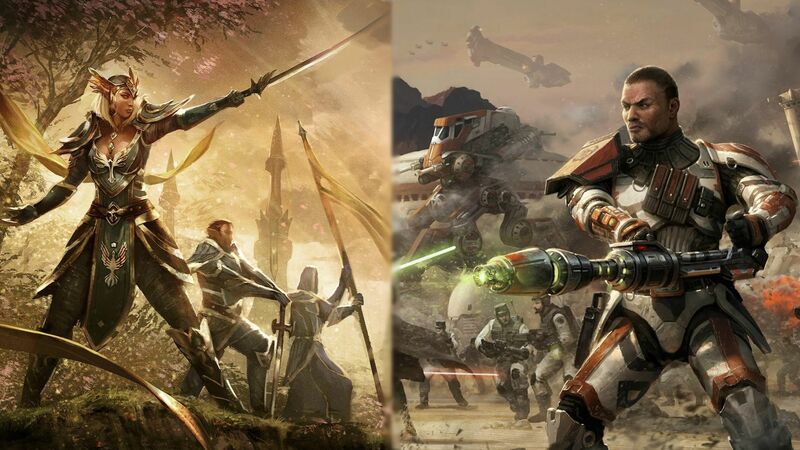 * I have been told this alliance is an honorable guild and want to succeed in this game to its fullest. That is what I am looking for. A group of friends that want to enjoy this game and find out what it all holds. Use are combined skills to enjoy it to its fullest. 7. What do you expect of the guild? Please be specific. * I expect to be a friend to all in the guild and work together to be the best in the game. I will be there in the good and bad times no matter what. 10.Role-Play experience/expectations. Can you give us some examples of Role-Playing you have participated in before. When it comes to expectations, give us an example of what would be fun to participate in, what you are looking for, etc. * I enjoy roleplaying and using my imagination to make the game as fun as possible. As long as people understand that real life comes first. 11. How can you benefit and help the guild? Please include any skills or talents you have that you would enjoy doing within the guild. How have you helped your previous guild(s), if you have previous experience? * I have loads of experience in playing MMORPG games I have been playing for a decade or more. I have helped members succeed in quests that took days on end of camping to accomplish. I dont do it but for any other reason that I enjoy seeing a member of my guild succeed. 12. How do you define a quality member? * A quaility member is someone that is not selfish. Someone who helps the guild even when it doesnt benefit them directly. A guild succeeds when its members succeed but it takes selflessnes to achieve it. My friend Stan is in this guild. He told me about you all. 15. Would you say that you embody the qualities of Respect, Honor, Loyalty, and Maturity? What are your definitions of these four words? Please don’t just answer yes or no, let us know why you think you possess these qualities. *Respect is taking other peoples ideas and ethics into account when dealing with others. Caring for their ideas and showing them you care about how they feel about them. Honor is Integrity. Your word is your bond. Saying you will do something and then do it. Being honest even when its not popular. Loyalty is the deepest of a committment. putting the needs of the guild above your own and standing up for them to the end. Maturity is not acting like a child. Not wearing your heart on your sleeve and being an adult about all situations. of our guild family)*I find myself to be very loyal and honorable person and I hold my core values true. I feel friendship and honor define who we are. Once I call someone my friend they are my friend forever no matter what. I hope to call you all my friends. 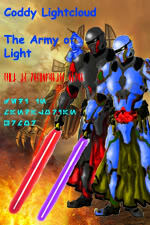 Thanks for applying to the Army of Light! Just to clarify, we DO have a naming rule that requires you to have a canon-acceptable name. Also, please fill out your character details and your personal details a bit more thoroughly. I would think of a last name and just make up a bio for the sake of the application. It can always be changed. That is the key. You could always have a secondary name, just in case someone has already taken it (Well that could go for anyone). Anyway I hope you luck in your application. Thank you all for your support. I so look forward to this game. I can't wait for it to come out. I have heard it will be sometime around April. Look forward to joining you all. And yes I am not against a name change. That is the name I have always used on other Online Games. Aiden is another one. It just needs to be something that a being would actually call themselves. For instance, in RP, we can't go around calling you 'Dharkone'. You mentioned Aiden, that'd be a fine name. Thank you for applying to the Army of Light, Dharkone! Your application will be reviewed by the Recruitment Council and you will be notified of a decision within 48 hours. Once again, thank you for your interest and in the meantime, please feel free to join us in our chat room to get to know the guild better. It's good to see you interest and enthusiasm in joining this guild. We are currently in a very exciting time in the guild and have a lot of opportunities coming up in the near future. I look forward to getting to know you and working more with you. Good luck on your application. Thank you all... I am so looking forward to working with you all. Would love to get on Ventrilo and talk to you all sometime. I see I have to be a full member first but look forward to it. See you all soon. Take care of Aone he is a great guy. And I changed my name to Aiden. Indeed it's nice to see more troopers come in. It's even nicer to see Smugglers though, the rare breed that they seem to be. I'd like to see the AL community become a little more balanced. We've had the Jedi branch fleshed out for ages. Now we seem to be getting the Troopers stabilized, and I'm sure we'll be turning out attention to Smugglers in the future. Let's just finish the merger and Phase 2 and recruitment will kick in. Let's hope so Master Vyynn. The more balanced the guild is the better the opotunities for our guild as a whole. Oh you have vent? Thats great! I have to talk to you sometime! Get a new mic, first. Don't want to cause auditory damage to the new Recruit. Yep I love using Vent. But it won't let me see your vent info until I become a member. Hopefully I will become a member soon and we can chat. Talk to you soon. Yes just to annouce i have a minor "buzzing" sound from my headset...nothin major. Good thing there is a mute button. Anyone heard anything about a release date yet? Close as I can see is Q2 of 2011. They said the game would launch after March 31st. I'm thinking it's going to be FAIRLY close to March 31st. If it was going to be much later in the year, say late fall or early winter, they would go ahead and say so. So, I'd hazard a guess at maybe mid-summer. They havent accepted you as of yet... ROFL... You must of failed the drug test!!!! Make sure you're swinging by chat once in a while and posting! We love seeing new recruits active.